pre-war cars using Triplex Glass had codes etched into the glass - do all yours match? If not then maybe a window or two may have been replaced over the years. 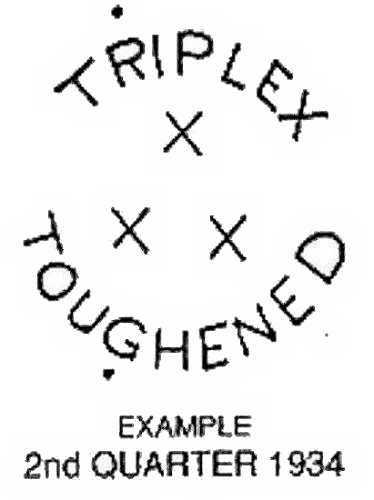 In the Triplex trademark the words TRIPLEX and TOUGHENED were arranged in a circular formation around a triangular arrangement of the three X's. Glasses were defined by the quarter of the year (Jan - Mar, Apr - Jun, etc.) and the year of manufacture.